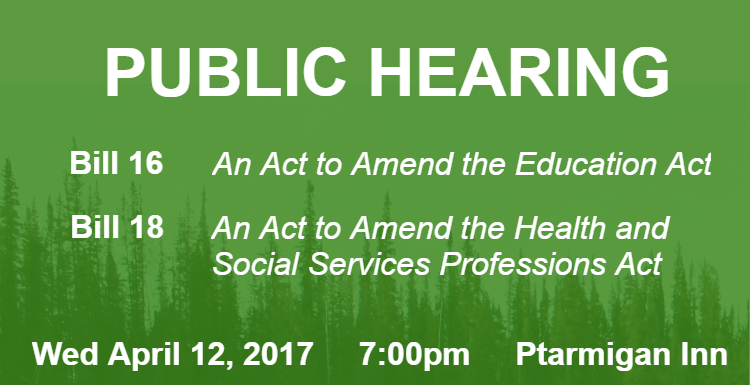 Bill 18: An Act to Amend the Health and Social Services Professions Act. The Department of Education, Culture, and Employment provides background information on Junior Kindergarten. Memorandum of understanding between GNWT and NWTTA on reduction of instructional hours.